Did You Hear About the Morgans? is a 2009 comedy film written and directed by Marc Lawrence. 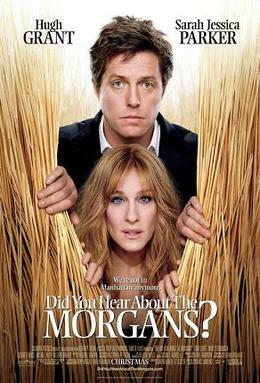 Hugh Grant and Sarah Jessica Parker portray the film's protagonists, Paul and Meryl Morgan, a recently separated New York power couple on the verge of divorce until they witness the murder of Meryl's client. They are forced to enter into temporary witness protection, given new identities, and relocated to a small Wyoming town. Supporting roles are played by Sam Elliott, Mary Steenburgen, Elisabeth Moss, and Wilford Brimley.